This film was totally ruined by the trailer (which has been showing forever). What you think is just teaser trailer footage for the main film, is actually about the first 45 minutes of plot! Many of the jokes have already been shown too. It is amusing and they do pad the rest of the story out, but it does start to frizzle when it turns into the Scarlet Overkill queen story. Its also no Pixar movie, with only really visual gags for the kids and not many in-jokes for adults to latch onto. 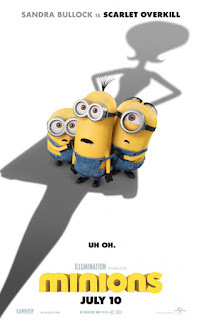 But who can resist the jibbering tic-tac shaped Minions, this is bound to be a smash with the kids. The 3D was actually pretty good in this film, with certain bits actually finally popping out of the screen. The D-BOX moving chairs were however just there to replicate the Minions jiggling and dancing, not great. 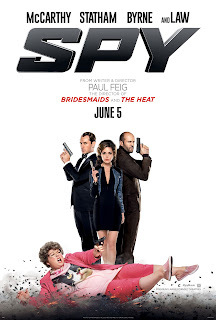 McCarthy and Miranda team up with Statham and Law in a comedy come secret agent spy movie. Although I'm not sure it quite knows where its main theme lies, as one minute is super serious spy movie with bullets flying and blood spurting and next someone trips and its straight back into slapstick and laughing. Both parts of the movie, spy and comedy, are pretty good, I just found it a bit jarring switching between the two, with a gun in your face and then being told your outfit is hideous. Both bits do work though, with some great one liners and comedy from the female team, and also some great stunts and action sequences from the guys. I would actually say The Heat was the funnier movie, followed a close second by this effort. Our early birthday present from Mum, saw us heading to London's Royal Albert Hall to see the Space Spectacular, performed by the Royal Philharmonic Orchestra. The played through Star Wars, E.T., Close Encounters, Battlestar Galactica, Thunderbirds, Superman and yet more Star Wars! The video below shows a few clips from the show. Jurassic World is the park opened as envisioned in Jurassic Park, with bigger more teethier genetically engineered dinosaurs. Of course tinkering with DNA doesn't go too well for the park with the new Indominus Rex escaping its paddock and going on the rampage. Chris Pratt is superb in this film and really props it up. What undoes it it Dallas Howard as the park obsessed financial operator and her two whiney nephews. Why does Jurassic Park insist on putting kids in peril? The story is better than that. This is definitely a 21st century 12A film too, loads of dino chomping, blood and a fairly horrific scene with a woman and pterodactyl, which is on par with the woman being torn apart in Jaws, but minus the blood, which obviously makes it OK! 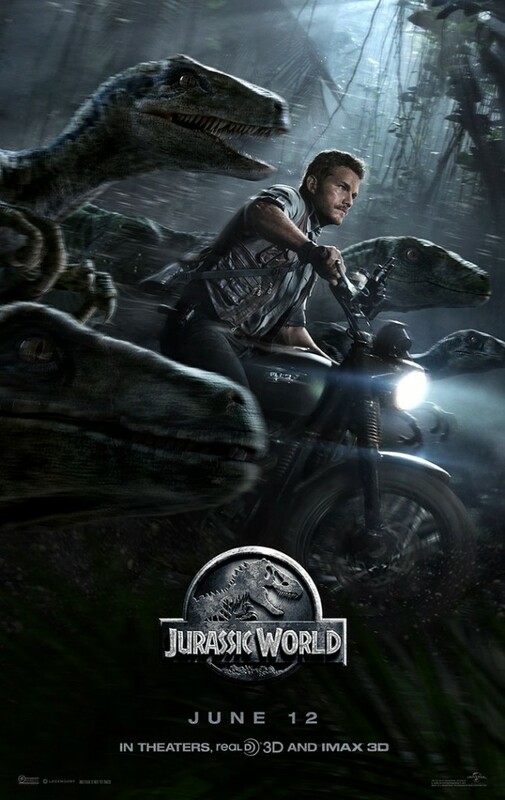 I was quite glad at the extra dino-violence, but anyone under 12 seeing this will probably be a bit disturbed! The one other scene I wasn't looking forward to is shown in the poster, where Pratt is riding with the Raptors. The Raptors are the baddies from the first film, so how does this happen? It does get semi-explained in the film, but still think it was a forced fit. Good film, but some annoying cast members. The 3D was standard fair, with everything from the screen level backwards. Shame as dinos popping out of the screen would have been pretty cool! The D-BOX moving chairs were great, you could feel every dino rumbling footstep!